Here are some thoughts to ponder and discuss with your class before reading Thanksgiving-related books and enjoying some fun activities together. Traditional celebrations are often festive and fun. When we celebrate traditions, we are linked to a history of similar celebrations. Traditions offer a rhythm to our days, months and years. Celebrations and traditions earmark the passing of time (and for children mark their growth and development). Celebrations and traditions bond us together in a common experience. 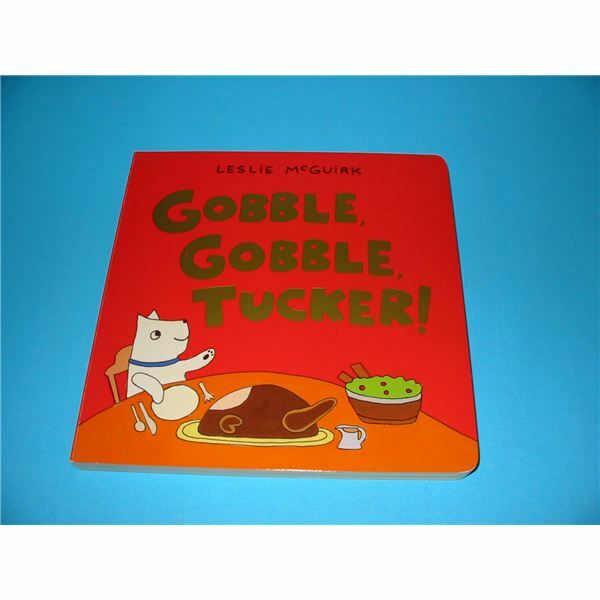 Leslie McGuirk is the author of this book released in September 2014 by Candlewick Press for ages 2 to 5. Tucker is a dog who loves Thanksgiving. A familiar scent in the air alerts him to the upcoming feast; his favorite day has arrived. The narrative of the story covers how the family gets together and cooks. Even Tucker enjoys the company of his cousin dogs. Yes, the dogs smell and yearn for the Thanksgiving dinner, but patience and good behavior rewards them in the end with their own feast. As an extension activity, make puppy dog hats with your class. The children can wear the hats and pretend to be Tucker as he plays with his cousin dogs on Thanksgiving Day. Refer to Make Puppy Dog Ears with Your Preschool Class for instructions and lyrics to cute puppy songs. 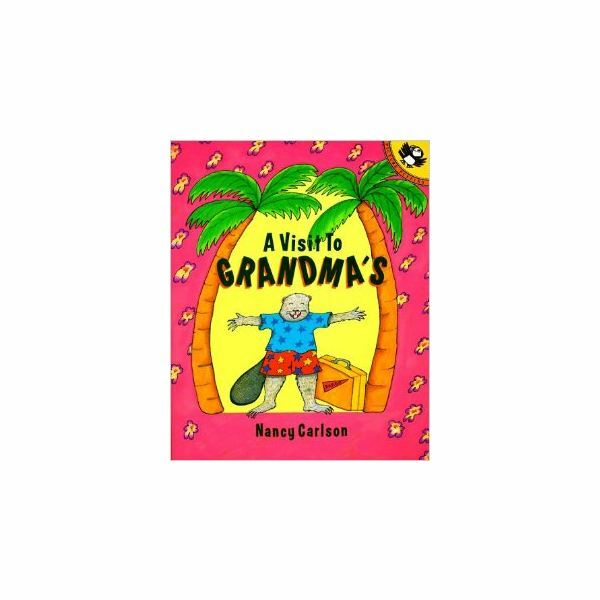 This story written by Nancy Carlson (Viking Juvenile, 1991) is about a family’s visit to Grandma’s new condominium in Florida. The trip proves to be a much different Thanksgiving than visiting Grandma on the farm. Grandma shows up in a snazzy sports car in beach attire and exchanges her apron for exercise gear. This book is recommended for ages 3 and up. Before reading the story use a map of the United States to show the children the relationship between your location and Florida. Discuss the location (N, S, E, W) and climate. Then discuss different types of home such as farm homes, suburban homes and condominiums. After reading the story, ask questions to your class such as, “How did Tina and her family remember Grandma at the farm? What is different now? Why couldn’t Tina and Grandma take a sleigh ride in Florida? What did they do instead? 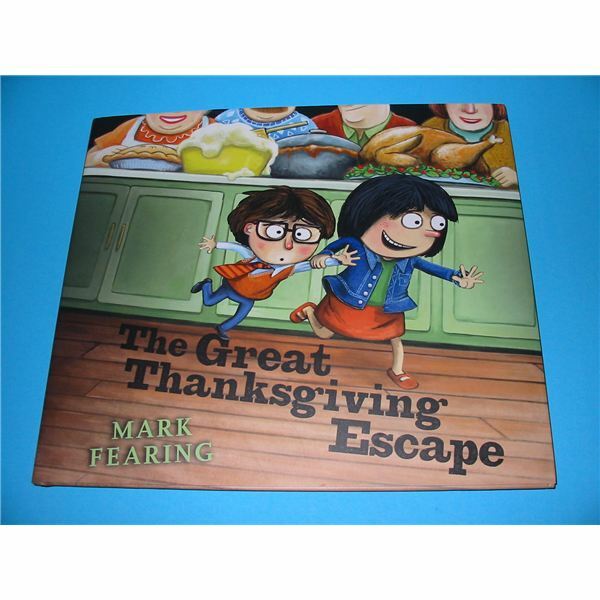 Mark Fearing authored this book about Thanksgiving at Grandma’s house. Gavin and his family arrived at Grandma’s house and he’s expecting another boring holiday filled with annoyances by relatives. All he and his cousin Rhonda want to do is to escape outdoors to the swing set before turkey dinner. They have to avoid the obstacles to get there, such as guard dogs at the front door, kisses and pinches from all the aunts and trying to get by the “wall of butts” (the line of adults watching the football game on the television). See how they managed to escape all this commotion, only to discover it’s raining outside. Who cares? It’s fun swinging no matter the weather! This new in 2014 book is suitable for ages 5 to 8. Give each child a sheet of paper and crayons and ask them to illustrate how they celebrate Thanksgiving. Make sure to illustrate all the relatives and what you do that day of celebration. Do you eat a feast, watch football, play games and tell stories? Have each student present his/her drawing with a small discussion. 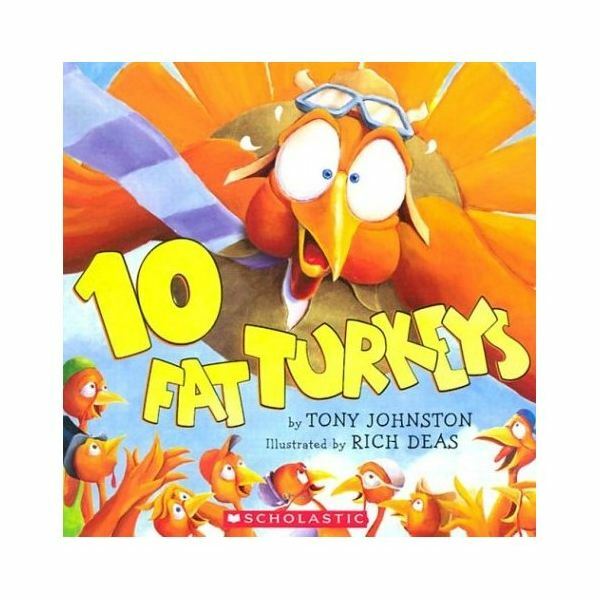 Tony Johnston is the author of this humorous rhyming story about 10 turkeys that teaches children to count backwards. This book, published by Scholastic, is recommended for children ages 3 to 5 years old. One-by-one, each turkey leaves the fence in a creative way. The repetitive line, “Gobble, Gobble, Wibble Wobble” has the children giggling as they watch how each turkey leaves the scene. The book is an excellent tool for teaching early subtraction. It’s doesn’t deal with the Thanksgiving holiday, but turkeys are synonymous with the season’s celebration. Let the children pretend to be turkeys and do the Turkey Wobble Dance. Lay down a trail of masking tape turkey tracks on the floor. Three small pieces can be placed like a Y with a strip inside the center. Invite the kids to step on the tracks as they dance to some lively music.